To say LeBron had a great regular season would almost certainly be an understatement. At the ripe age of 33, LeBron enjoyed what some are calling his finest regular season yet. He averaged over 27 points a game, eight rebounds, and nine assists. Even more, he played all 82 games this regular season, a first for his already storied NBA career. He’s done all this with essentially two different Cleveland Cavalier teams, given how many players they moved at the trade deadline. He gives a whole new meaning to putting the team on his back. And again, he is firmly in the MVP discussion alongside the Rockets’ James Harden, a discussion he is included in year after year after year. Despite all this on-court success in #Year15 of his NBA career, it might be distracting from his true greatest achievement: the success of the Nike LeBron 15. In a sneaker landscape that has been overtaken by the popularity of runners and lifestyle silhouettes, basketball as a shoe category have seen their former dominance shaken, only gaining back some market share when popular retro Jordan colorways are released (if you can even still count those as basketball). While there’s no arguing the versatility and on-court/off-court wearability of Jordan 3s, basketball shoes of the past 15 years have generally skewed more towards a performance focus as sneaker technology advanced with developments like 360 degree Air Maxes and hexagonal Nike zoom air. The LeBron 15 drastically changed that. 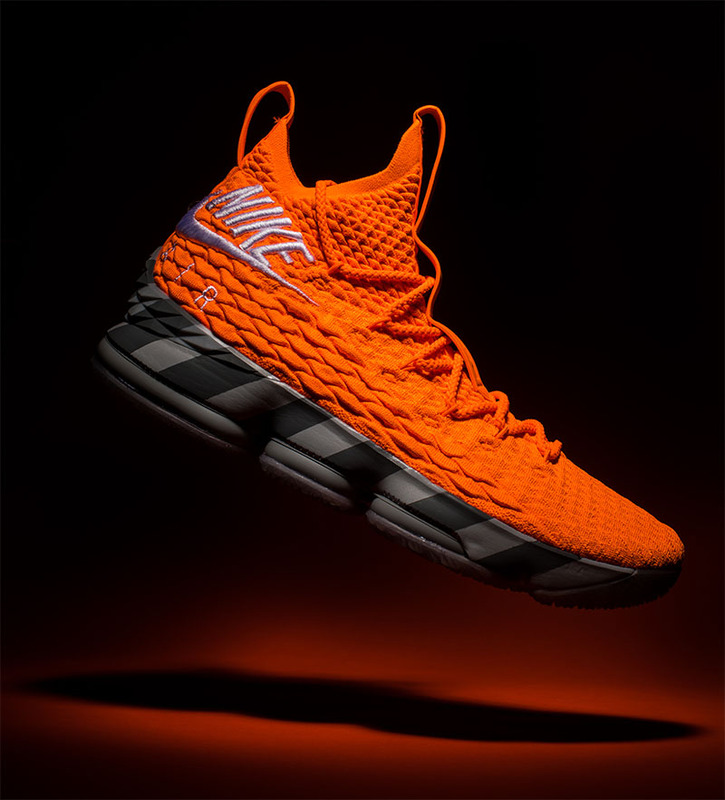 When the 2017-18 NBA season kicked off, and the LeBron 15 first hit shelves, you immediately saw how this shoe was a departure from LeBron models of the past, and most Nike Basketball shoes up to that point. Introducing a thicker Flyknit upper — a fabric Nike is calling BattleKnit — it provides both the durability and support needed for on-court performance, while also incorporating the singular and textural knit aesthetic that has made Nike runners more popular in recent years. It’s one of the most technologically advanced Nike Basketball shoes currently on shelves. One might argue that the first impression of the 15s, along with some of the early press, would have been more than enough to ensure these sold. But in true Nike fashion, they decided to go the extra step and make a bigger statement on how the 15s were more than a basketball shoe. 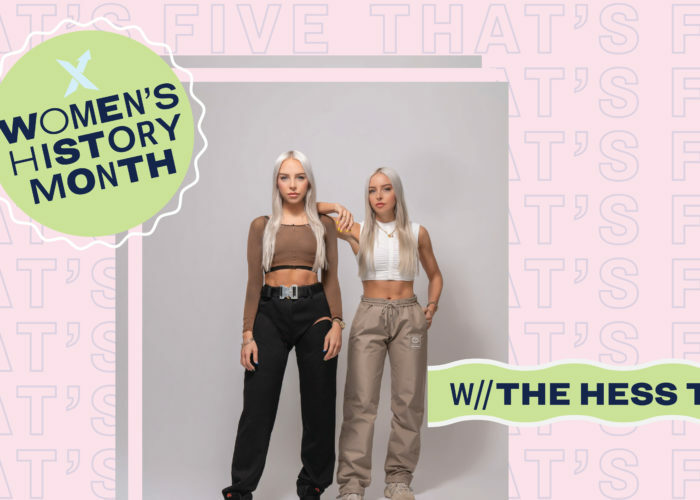 To fully illustrate that the 15s extended beyond the court, they collaborated with the “it” streetwear and lifestyle brand of the moment: KITH and designer Ronnie Fieg. Over last half decade, The KITH brand has become increasingly popular year, due to insane collections with their own insane list of collaborators, including brands like Coca Cola and Moncler. In each collaboration, they focus on quality of design and attention to detail over everything else. And this is exactly what KITH brought to the table with the 15s. 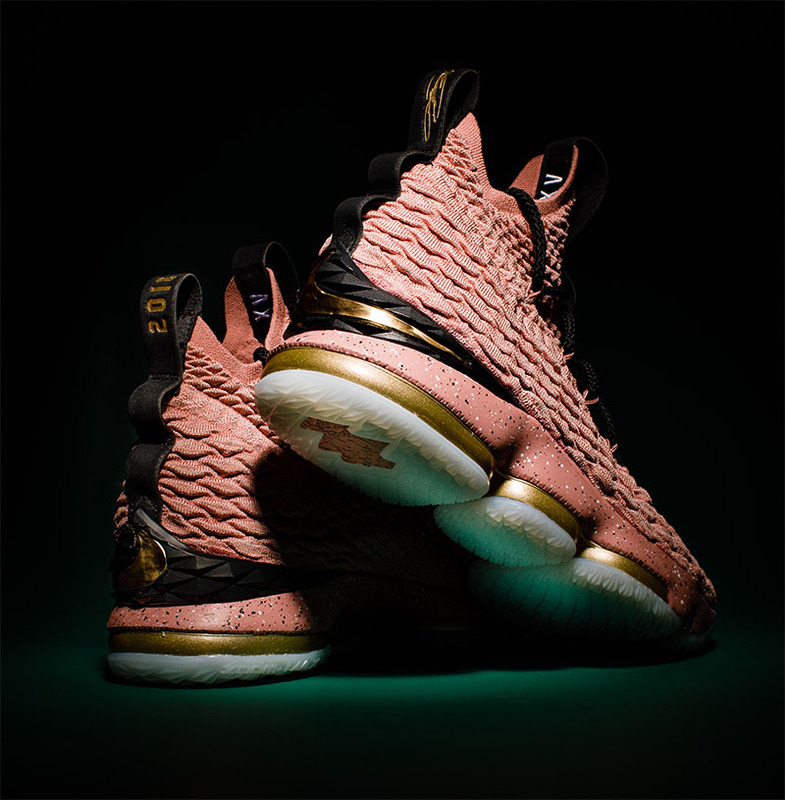 Besides putting together seven custom LeBron 15 designs — the King’s Crown, the Performance King’s Cloak, the Suit of Armor, the Rose Golds, the Concretes, the City of Angels, and the Stained Glass — KITH also put out a full line of apparel and accessories, most of which is still going for well over retail on StockX. 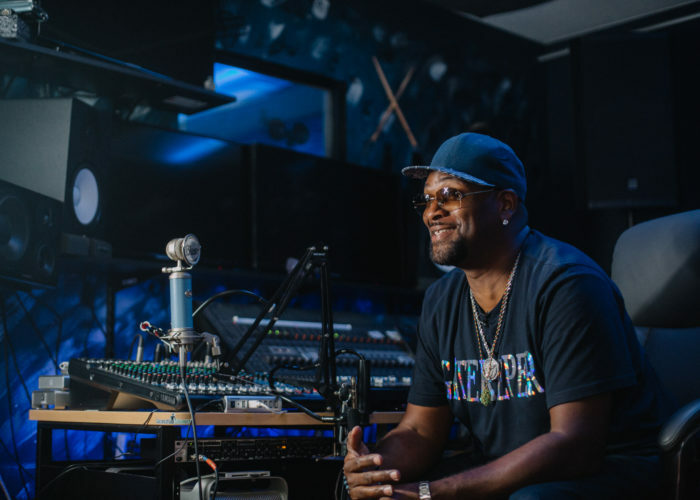 It didn’t stop at sneakers and apparel, KITH and the Uninterrupted produced an entire documentary about LeBron’s rise to superstardom, focusing on his hometown of Akron, Ohio, called “Long Live the King.” Ronnie Fieg premiered the video at LeBron’s alma mater in Akron, St. Vincent-St. Mary’s High School. Again, this level of storytelling and mythology, and attention to details, is something that had only been hinted at in LeBron sneakers of past — like the South Beach 7s or the Yankees 5s — nothing with this level of detail. 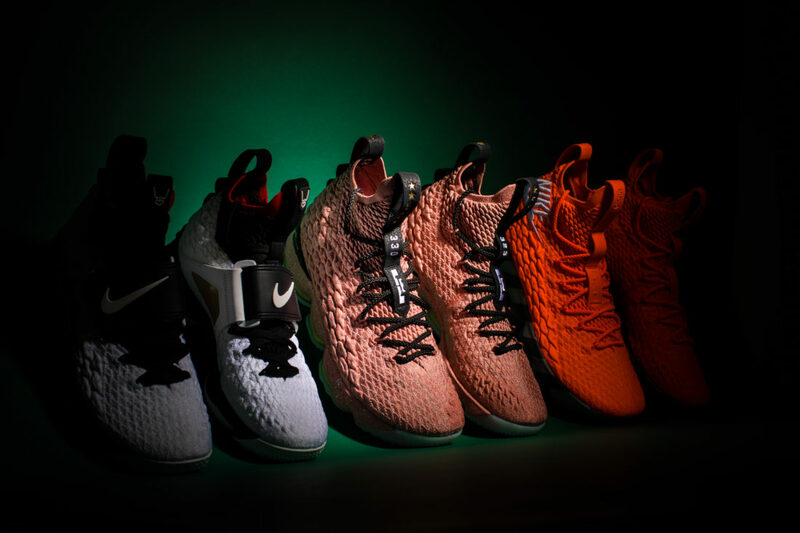 Some of the most valuable LeBron 15’s have come out of the LeBron Watch program, such as the ACG Mowabb, the Orange Box, and the Air Max 95s. Each LeBron watch colorway contains a story or connection that builds on the storytelling foundation established by the KITH collaboration, bringing in new themes and cultural connections with the LeBron James brand, while also creating a sense of immediacy in dropping them via the SNKRS app. All of this creates a feeling contemporary basketball sneakers have been missing for years, a new feeling of exclusivity. When broken down, the 15 is really a carefully curated piece of sneaker genius — incorporating the best aesthetics of popular runners, collaborating with the coolest brand and designer of the moment for specific colorways, models, and content, while tying back to Nike nostalgia and legacy (the Air Max 95s and Griffeys), all while using an ephemeral-esque release method that fits right in with the current Snapchat and Instagram story generation. If the LeBron 15 strategy had a statline, it’d be a quadruple double with a PER of 32. That’s why the LeBron 15s are the real MVP.